The Commerce Group lawsuit spurred the formation of the Midwest Coalition Against Lethal Mining (MCALM), a Wisconsin-based group working to educate communities throughout the state and the Midwest about the devastating effects of transnational mining in El Salvador. Drawing on decades of solidarity organizing that has its origins in the Salvadoran civil war of the 1980s, MCALM was created by veterans of the U.S.-El Salvador Sister City Network, and in particular the Madison-Arcatao Sister City Project. 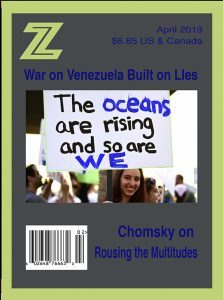 Like El Salvador, Wisconsin was threatened with a gigantic open pit iron mine near Lake Superior and the largest remaining wild rice wetland on the Bad River Ojibwe Reservation (see “Resisting Resource Colonialism in the Lake Superior Region” Z Magazine, September 2011). The Bad River Ojibwe Tribe has led the opposition and forged a coalition of Wisconsin’s 11 tribes, local communities and the state’s environmental and conservation community. On February 28, after four years of ignoring objections from an Indian environ- mental movement about the impossibility of mining in an area of extensive wetlands, Gogebic Taconite admitted the project was not feasible and pulled the plug on the mine plan. 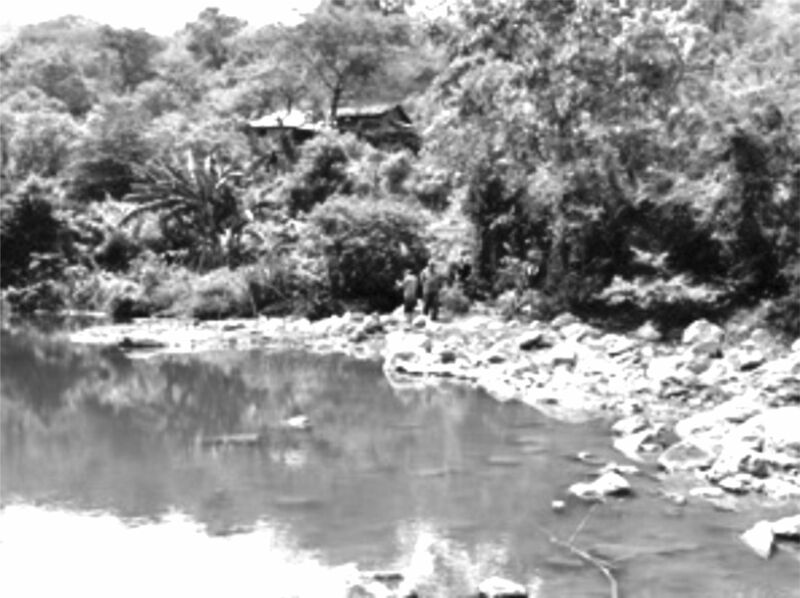 The Commerce Group exploited the San Sebastian gold mine from 1972-1978. The mine remained closed during the Salvadoran civil war (1980-1992). The company resumed mining from 1995-1999. Local residents blame the Commerce Group for polluting the San Sebastian River and the surrounding water table with arsenic and heavy metals and turning the stream the color of cranberry juice. In 2012, the Salvadoran Ministry of the Environment found that the San Sebastian River had nine times the acceptable limit of cyanide and one thousand times the legal standard for iron in water for human consumption. The contamination of the river has forced residents of this impoverished community to pay the expense of trucking in drinking water. While the majority of families do not drink from the river, there are some families living in such extreme poverty that have no choice but to use the river. Alternative sources of water from wells are also contaminated. As a result, community members suffer high rates of kidney failure and other diseases associated with arsenic and metals poisoning. The discoloration of the water is a result of acid mine drainage—a chemical reaction produced when sulfides in the waste rock are exposed to air and water to produce sulfuric acid and release heavy metals like arsenic, lead and mercury into surface and groundwaters. The acid mine drainage into the San Sebastian River originates in a stream above the village of San Sebastian, adjacent to an abandoned gold mine where the company dumped its mine waste (tailings). In 2006, El Salvador revoked Commerce Group’s mining permits for failure to comply with the country’s mining law at its San Sebastian gold mine. In retaliation, the Commerce Group filed a lawsuit against the government of El Salvador under the foreign investor “protections” contained in the Central America Free Trade Agreement (CAFTA), demanding $100 million in compensation from the Salvadoran government, including alleged “lost profits.” The company also demanded the right to re-open the mine against the government’s wishes. However, according to documents filed with the U.S. Securities and Exchange Commission, the company had already ceased El Salvador operations before, in December 1999, citing financial troubles, including bankruptcy, as a major factor in the decision to suspend operations. MCALM called the lawsuit a cynical attempt by an unsuccessful company to exploit international trade agreements to make money that they have been unable to make by legitimate means. In March 2011, the World Bank’s International Center for the Settlement of Investment Disputes (ICSID) threw out the Commerce Group case because the company had filed simultaneous court cases in the local courts in El Salvador. Commerce Group appealed the decision but in August 2013, the company was unable to pay the fee needed to continue appealing and so the case was closed. “We stand beside the people of El Salvador today and let them know that our voices have been added to theirs. It is our belief that governmental decision makers, laws, and public policies should respect that the right to clean air, land and water for the people is worth more than profit to the powerful.” In September 2014, Aurora Conley, a Bad River member employed in the tribe’s legal department and Vice Chair of the tribe’s Environmental Protection Alliance joined an international delegation to learn about the destructive legacy of mining in El Salvador, meet with anti-mining leaders and observe an historic community consultation process to create municipal ordinances blocking mining. Conley was well suited to this mission. She had been the executive assistant to White Earth, Minnesota Ojibwe activist Winona La Duke for three years and was well acquainted with the devastating effects of mining on Native American lands. The second stop for the international observer delegation was the community of San Isidro where conflict over a massive gold mine proposed by Pacific Rim Mining Corporation (Pac Rim), a Canadian-based multinational firm, has generated a national debate about the environmental effects of mining in El Salvador. San Isidro is the town near the proposed El Dorado gold mine in the north-central department of Cabanas. The proposed underground mine would use large amounts of water and tons of cyanide to extract gold from the orebody. The majority of the population of Cabanas are subsistence farmers who rely upon clean surface and groundwater for drinking, bathing and sustaining their crops and animals. El Salvador is already facing a major water crisis. A 2006 World Bank report estimates that 90 percent of El Salvador’s surface water bodies are contaminated, with 98 percent of municipal wastewater and 90 percent of industrial wastewater discharged into El Salvador’s rivers and creeks without treatment (El Salvador, Recent Economic Developments in Infra- structure—Strategy Report No. 37689-SV). The proposed mine is located in the watershed of El Salvador’s largest river, the Rio Lempa, supplying uncontaminated water for nearly half of El Salvador’s 6 million people, including the population of the capital, San Salvador. Local opposition to Pac Rim began shortly after the company began drilling exploratory wells on private property without permission. When people near exploration wells began to notice polluted water and reduced water supplies for crops and human consumption, the opposition increased. If local residents were experiencing such negative impacts at the exploration stage, they were very concerned about what could happen if the mine were permitted. Community leaders visited gold mining operations in Guatemala and Honduras and saw the problems of water contamination, lack of public consultation, lack of respect for indigenous peoples’ rights and limited economic returns to the local communities. In 2005, community members formed the Environ- mental Committee of Cabanas, linked up with other civil society organizations and formed the National Roundtable against Mining in El Salvador (La Mesa). In 2005, Pac Rim submitted its environmental impact assessment (EIA) to the government of then-President Tony Saca of the right-wing Nationalist Republican Alliance (ARENA). But the Ministry of Environment and Natural Resources denied the company a permit because it failed to provide an adequate EIA and meet the other requirements for granting a mining permit. Meanwhile, La Mesa organized a national campaign against the El Dorado project and pushed for a ban on gold mining. The campaign scored a significant victory when the Catholic Church of El Salvador issued a proclamation in 2007 against gold mining in El Salvador, citing potential damage to water, flora and fauna and overall public health. In March 2008, President Saca announced that he had placed an “administrative freeze” on mining permits. In April 2009, Pac Rim sued the Salvadoran government for $77 million under the investor protection rules of the Central American Free Trade Agreement (CAFTA) for not issuing the company mining exploitation permits. The lawsuit was increased to more than $300 million in 2013 when the Australian firm Oceana Gold acquired Pac Rim. El Salvador argues that the company not only lacked environ- mental permits for the project, but that it did not own, or have rights to much of the land covered by its concession request. But this lawsuit is not simply a dispute between Pac Rim and the government of El Salvador. As Marcos Orellana of the Center for International Environmental Law (CIEL) has noted in their friend of the court (amicus curiae) brief, “Claimant [Pac Rim] is using this proceeding to gain an advantage in what is fundamentally not a dispute between it and the Republic [El Salvador], but rather between it and the independently-organized com- munities who have risen up against Claimant’s projects, i.e., La Mesa.” Furthermore, Pac Rim is a Canadian company and not eligible to file suit under CAFTA because Canada is not a signatory to CAFTA. To get around this restriction, Pac Rim filed through a Reno, Nevada- based subsidiary it acquired before filing the suit. This trick did not work and the International Center for the Settlement of Investment Disputes (ICSID), a secret World Bank arbitration tribunal, dismissed the case. Nonetheless, ICSID has allowed the company to proceed under an already outdated Salvadoran investment law that gave companies access to international tribunals. El Salvador has since amended its investment law last year, requiring companies with complaints to go through local courts instead of international arbitration courts. This law does not apply retroactively and has no impact on the current case. 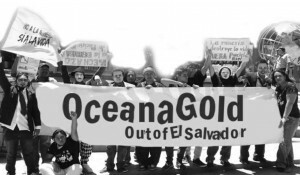 El Salvadoran activists from La Mesa traveled to Washington, DC on March 19 to protest at the World Bank headquarters where ICSID is considering the lawsuit brought against their government by Oceana Gold. Vidalina Morales spoke on behalf of La Mesa: “We are not willing to let the Salvadoran government pay one single dollar. It is the mining company who should pay El Salvador for the violation of environmental and human rights. These courts only defend the interests of large corporations, not the people of El Salvador.” A verdict is expected by June 2015. The issue of investor-state dispute settlement (ISDS) goes far beyond CAFTA and El Salvador. Multinational corporations are invoking ISDS whenever they encounter resistance to resource extraction projects where governments assert their sovereign right to protect human health and the environment. According to a recent report from the Washington, DC-based Institute for Policy Studies, of the current 137 trade agreement investment cases pending before ICSID, 43 cases are related to oil, mining or gas (Mining for Profits in International Tribunals: How Transnational Corporations Use Trade and Investment Treaties as Powerful Tools in Disputes Over Oil, Mining and Gas). As the Obama administration tries to expand these corporate rights with “fast track” authority for the massive free-trade agreements known as the Trans- Pacific Partnership and the Transatlantic Trade and Investment Partnership, U.S. Representative Mark Pocan (D-WI) and 12 House Democrats introduced H.R. 967: Protecting America’s Sovereignty Act. This legislation would prohibit investor-state dispute settlement provi- sions in foreign trade agreements. “ISDS provisions could weaken U.S. health, safety, and environmental protections if they continue to be part of future trade agreements, including the Trans-Pacific Partnership,” said Rep. Pocan. Once the Pac Rim suit was filed, the violence escalated against mining opponents in Cabanas. The first mining opponent to be targeted was Marcelo Rivera, an outspoken critic of the El Dorado project and a community organizer. Marcelo was kidnapped and murdered in June 2009. When his body was finally discovered in an abandoned well it showed signs of torture reminiscent of the Death Squad killings of the civil war years. Six months later, two more anti-mining activists were killed. Ramiro Rivera (no relation to Marcelo) was ambushed by at least three gunmen with M-16 military assault rifles while driving a truck near his home. Ramiro was supposed to be under police protection at the time because of numerous death threats. Shortly afterwards, Dora Alicia Recinos Sorto was killed with a high powered rifle while returning from washing laundry at a nearby spring. She was eight months pregnant. Her two year-old son was also wounded in the attack. Dora and her husband, Jose Santos Rodriguez, were active members of the Environment Committee of Cabanas and lived next door to Ramiro Rivera near the proposed Santa Rita mine site in Trinidad. Rodriguez had been attacked with a machete in 2008 and lost two fingers and the use of his right hand. He placed the blame for his wife’s murder on Pac Rim. “We used to live in peace with our neighbors; [Pacific Rim] came to divide groups, families, friendships, because they sold themselves for a little money…we told them to leave us alone. But they used force. 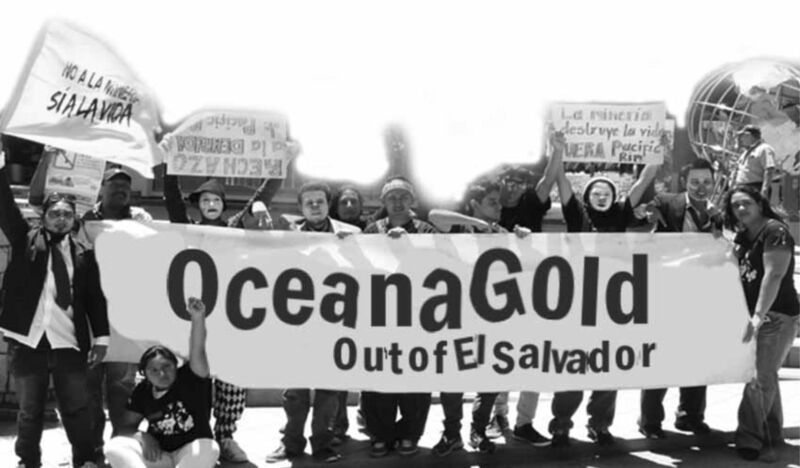 Everything I had, I lost because of Pacific Rim” (cited in Damien Kingsbury, “Gold, Water and the Struggle for Basic Rights in El Salvador,” September 2013, Oxfam Australia). Pac Rim condemns the murders but denies any responsibility for the violence, attributing it to inter-family rivalry and common crime. In the meantime, the threats and killings have continued. In June 2011, Juan Francisco Duran Ayala, a volunteer with the Cabanas Environmental Committee was murdered. “It is clear from speaking to local citizens in Cabanas,” says Professor Richard Steiner in a 2010 study of the El Dorado mine for the International Union for the Conservation of Nature, “that there currently exists a strategic campaign of violence, threat, and intimidation directed against community leaders and others who oppose the opening of the El Dorado mine…. Local residents report that company officials told their employees that local environmental leaders, in particular members of the Environmental Committee of Cabanas, were to blame for their lack of work. Residents express a strong desire that the precise nature of any association between the mine company and the violence, and any other intellectual sponsorship for the violence, be rigorously investigated by the Attorney General’s office.” (El Salvador—Gold, Guns, and Choice: The El Dorado gold mine, violence in Cabanas, CAFTA claims, and the national effort to ban mining.) While several people have been arrested for their participation in these crimes, the AG’s office has failed to identify the intellectual authors of the violence. Since 2008 the Salvadoran government has had a moratorium on all mining permits. President Salvador Sanchez Ceren, a former commander in the guerrilla army (the FMLN), elected earlier this year, has also vowed not to allow mining in the country. However, all attempts to enact a permanent ban on mining have failed in the legislature, dominated by the opposition ARENA party. In the absence of a national ban on metallic mining, La Mesa has organized the territories free of mining campaign with support from international solidarity organizations like the International Allies against Metallic Mining in El Salvador (www.stopesmining.org). “We cannot sit and wait to react to the circumstances,” said Marcos Galvez, president of CRIPDES, a local community development organization, “we have to go back and rebuild alliances with the communities that gave birth and are the base of the anti-mining movement in the first place.” The birthplace of the anti-mining movement is in Chalatenango, a stronghold of the FMLN during the civil war. Several Canadian gold mining companies have already ceased all exploration in these communities. 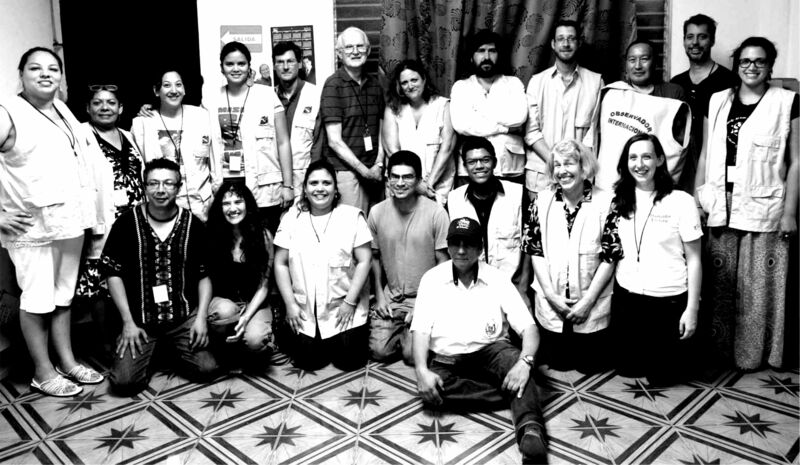 In September 2014, Aurora Conley was one of 15 representatives of an international observer delegation from the U.S., Canada, Central and South America and New Zealand to witness the results of the community consultation on mining in the municipality of San Jose Las Flores. When the votes were counted, 99 percent of those who voted expressed their desire to become a territory free of mining. Conley was impressed at the level of community involvement in the consultation process. Some of these elderly women walked four hours to get to the polling place. “This was a historical, epic event in Salvadoran politics,” said Conley. “People whose voices have been ignored at the national level have now begun to influence the national debate on this issue. Other municipalities are going to follow this example.” Shortly afterwards, 98 percent of the voters of San Isidro Labrador said no to mining. David Morales, the Salvadoran state’s attorney for human rights, said the vote in San Jose Las Flores was more than symbolic. “The effect will be that no permits will be given in the municipality for exploration, let alone exploitation,” he said. “It will be a very important victory in the legal fight against mining in El Salvador.” One way or another, El Salvador could become the first country to ban metal mining. Al Gedicks is Executive Secretary of the Wisconsin Resources Protection Council and a founding member of the Midwest Coalition Against Lethal Mining. Photos by Al Gedicks.